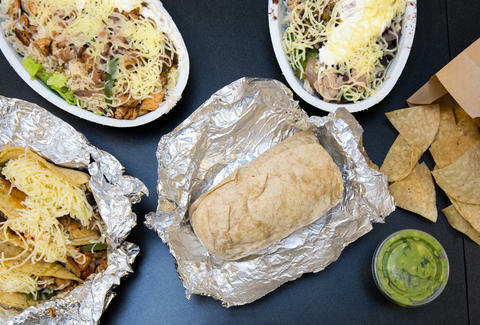 As if getting back to the workweek on National Hangover Day weren't bad enough, you won't have one of your finest weapons to combat said hangovers today: Chipotle. The fast-casual chain is closing all of its stores on Monday, Feb. 8, from 11a to 3p -- or as you'd know them, the prime lunch hours. The closure isn't a spur-of-the-moment event by any means, as the Wall Street Journal reported last month of the impending temporary closure. Chipotle posted to its Facebook page to remind fans they won't be able to hammer down burritos or bowls today. "We’re having a national employee meeting today, February 8th, to thank everybody for their hard work through this difficult time, discuss recent food safety changes we’ve already deployed, and talk about additional steps we’re taking for the future," the post said. "All US restaurants will be closed for lunch today and will re-open at 3pm in each time zone." Chipotle CEO Steve Ells is expected to talk during the meeting to address the chain's recent food-borne illness troubles. The multiple instances of E. coli poisoning and norovirus-related illnesses led to store closure toward the end of 2015. The public health issues scared away enough customer in Q4 2015 for Chipotle to see a 44% drop in net income compared to Q4 2014 -- a significant impact on the company's business. And now, well, you won't be able to eat there. At least for today's lunch. To make up for the inconvenience, the company is offering rainchecks, too, if you text "raincheck" to 888-222. You'll have to fill out a form, but for your trouble, you'll get a free burrito. Who doesn't love a free burrito? Ryan Craggs is Thrillist's Senior News Editor. He usually orders a burrito bowl and douses it with Chipotle Tabasco when he eats at Chipotle. Follow him @ryanrcraggs.